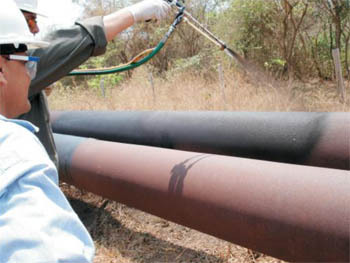 Above ground pipelines are often exposed to severe weather conditions leading to accelerated corrosion and premature loss of service life. 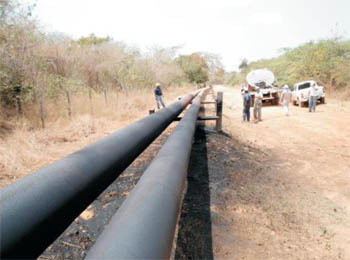 Located in a remote area, this 12 km pipeline needed a protective corrosion membrane applied quickly. 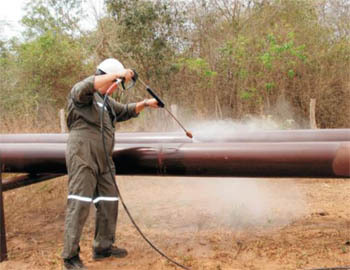 VEZLAR™ manufactured by Liquid Rubber Worldwide Inc. was the solution. Membrane cured to full strength in under 24 hrs.